We are Supplier & Exporter of Inconel Alloy 800 Pipe Flanges, Inconel 800H Slip on Flanges, Inconel 800 DIN Blind Flanges, Inconel Alloy UNS N08800 Plates Flanges Manufacturer in India. Inconel 800 is a combination of nickel and chromium alloy that has excellent tensile strength and resistance to oxidation as well as carburization properties. This 800 alloy flanges is extremely functional as it maintains a stable structure, even when exposed to high temperature. The Inconel is extremely resistant to corrosion, even in acidic environment. This alloy is extremely functional as it maintains a stable structure, even when exposed to high temperature. 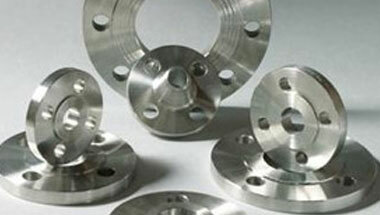 We manufacture and export premium quality of Inconel 800 Flanges. Branded for their high strength, corrosion resistance finish and dimensional accuracy, the offered Inconel flanges are ideal of pipe fitting applications. Available in Weld Neck Flanges, Slip On Flanges, Blind Flanges, Socket Weld Flanges, Screwed Flanges, Orifice Flanges, Lap Join Flanges, Long Weld Neck Flanges. Inconel Alloy 800 /UNS N08800 is used for process piping, heat exchangers, heating-element sheathing, carburizing equipment, nuclear steam-generator tubing, engine ducting, combustion liners and spray bars, chemical plant hardware and special seawater applications. ASTM A564 Inconel 800 Flanges, Alloy 800 Orifice Flanges, Incoloy WNR 1.4876 Forged Flanges, Alloy 800HT Socket weld Flanges, Inconel 800 ANSI/ASME B16.5 Reducing Flanges Supplier in India. United States, Colombia, Cameroon, Venezuela, Democratic Republic of the Congo, Indonesia, Iran, Uganda, Sudan, Russia, UK, Israel, London, Kazakhstan, Germany, Houston, Chine, Jordan, Argentina, Vietnam, Sri Lanka, Morocco, Turkey, Bahrain, Trinidad and Tobago, UAE, New Zealand, Azerbaijan, Tunisia, Egypt, Nigeria, Africa, Algeria, Mexico, Brazil, Ethiopa, Mozambique, Peru, Italy, Dubai, Angola, Ghana, South Africa, Australia, Saudi Arabia, Thailand (Bangkok), Canada, Malaysia, Kuwait, Iraq. Cairo, Data from the UN, Cairo, Dakar, Bamako, Zaria, Bethlehem, Soweto, Sharm el-Sheikh, Kampala, Durban, Douala, Tehran, Maputo, Dubai, Port Harcourt, Brazzaville, Kano, Casablanca, Freetown, Lagos, Fez, Lusaka, Byblos, Luanda, Mogadishu, Khartoum, Dar es Salaam, Istanbul, Lubumbashi, Tel Aviv, Accra, Ouagadougou, Maiduguri, Nairobi, Pretoria, Addis Ababa, Mbuji-Mayi, Dammam, Abidjan, Kolwezi, Muscat, New York, Benin, Port Elizabeth, Doha, Riyadh, Beirut, Harare, Abu Dhabi, Singapore, Algiers, Tripoli, Johannesburg, Subra al-Haymah, Amman, Hong Kong, Aqaba, Omdurman, Colombo, Ibadan, Jeddah, Rabat, Yaoundé, Manama, Jerusalem, Giza, Cape Town, Alexandria, Conakry, Antananarivo, Bulawayo, Mecca, Kinshasa, Kaduna.